This story is the courtesy of http://www.ordersandmedals.net site. They use inPhoto Capture camera control software designed for full computer control of Olympus C-8080WZ cameras to capture Orders and Medals images. They use inPhoto Capture combined with DbPix to organize the images of Royal Orders from among others Norway, Sweden, Denmark, Iceland and Finland. They have a website called http://www.ordersandmedals.net where they display information about this in order for other interested people to see the results of their research. The Orders date back as far as mid 1700 and today it is very interesting to investigate the various types, producers, metals used, etc. By using inPhoto Capture software one is able to make comparisons very detailed in order to distinguish the small differences that do exist from period to period. One can sometimes find small hallmarks that inPhoto Capture helps enlarge. They use a Olympus C-8080WZ connected to PC. Our system mainly consists of a mobile mast that is attached quickly to our 4x4 vehicle by a custom designed and built mast support attachment. 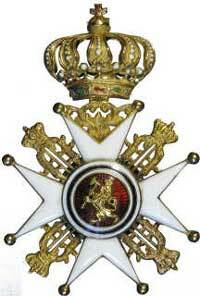 http://www.ordersandmedals.net is a site that will show you as many as possible of the various Orders and Medals that do exist in the world today. This is a task that will never be complete. The hope is that this will help new and old collectors of Orders and Medals to have a source to see what is on the market. It is a pleasure that some of the Orders and Medals dealers have permitted use of their large material for this website. Therefore links to the various dealers have been included as a gratitude to this fact. Secondly this site is to be the specialist site as well for Orders and Medals. Currently work is performed to provide very detailed material on the orders of Norway and Sweden in particular. 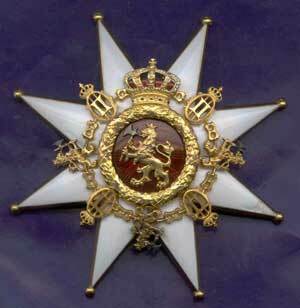 Not only the orders themselves, but also the people who has been awarded these beautiful items.